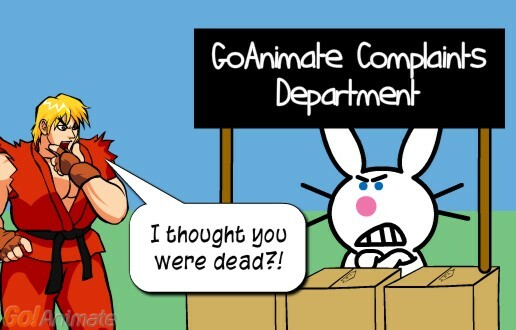 Then there's the usual random references to things on the GoAnimate site like the regular complaints about no Sonic the Hedge Hog or Mario themes and more. Oh, and if you've never heard of T-Roll, click the link in the video to find out who he is. I will admit that Coady's animated head - that he made - really does make this installment work so much better. I'm really glad too that Coady's such a good sport for making it public and letting me use it to poke some fun his way. No wonder everyone likes him!! 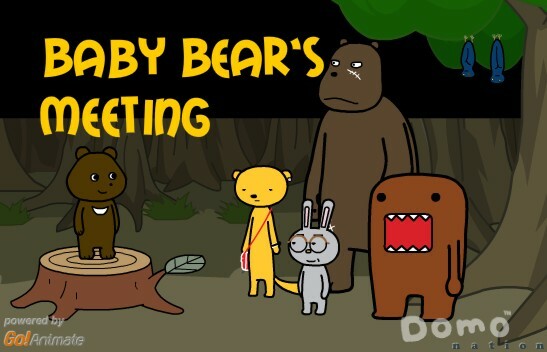 Baby Bears Meeting is my latest Domo Animate creation. For anyone that likes a bit of 'Fart' humor, Domo's always good for that. I think this is my third animation with Domo that features his ferocious flatulence. This time Baby Bear's called a very important meeting to discuss the issue of Green House Gases, clearly an issue that Domo may just be contributing to! That's about all the set up you need, so enjoy the video below.